Home / EN / It-Commu / Logitech / Mouse / It’s a Mouse Party. And Everyone’s Invited. 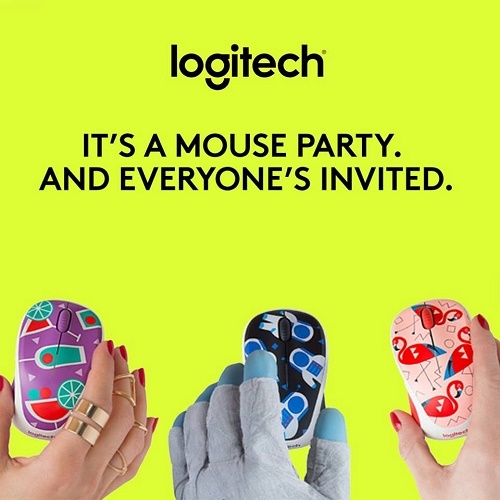 Bangkok, 29 July 2016 -- We’re excited to share that Logitech’s 2016 Party Collection is here. These mice will help you show off your colorful, fun (and offbeat) personality in an unexpected way. 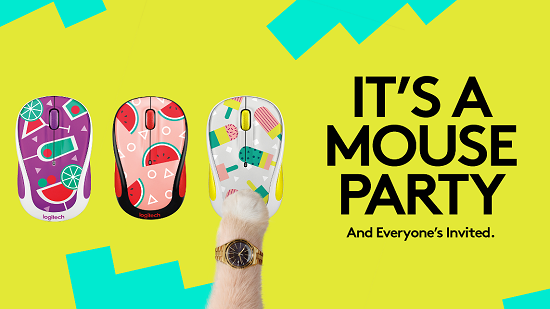 The festive collection is inspired by the ‘80s Memphis style of design, and brings over-the-top mash-ups of watermelons, flamingos and even popsicles to the Logitech® M325C and the Logitech® M317C Wireless Mouse. Both models feature a 12-month battery life, a comfortable scroll wheel and the nano USB receiver lets you roam up to 33-feet away. Whether you prefer Windows®, Mac OS®, Chrome OS™ or Linux®, the 2016 Party Collection will add cheer to your computing style. 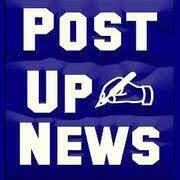 So bring the party to your desk, because it’s an open invitation to put a smile on your face. And everyone’s invited. # # #2015 Logitech, Logicool, Logi and other Logitech marks are owned by Logitech and may be registered. All other trademarks are the property of their respective owners. For more information about Logitech and its products, visit the company’s website at www.logitech.com.